The following Terms and Conditions, as in force on the date of order, shall exclusively apply to the pre-contractual and contractual relationship between (a) Clarins Canada, Inc., (“Clarins”), whose registered offices are located at 815 Desserte Est, Autoroute 13, Laval, QC H7W 5N4, when acting as reseller of the products of this website (“www.clarins.ca”) OR, when acting as seller of the products on this website (“www.clarins.ca”), (the actual seller hereinafter referred to as the “Seller”, “we”, “us”) and (b) you (the “Buyer”, “you”, “your”) for the purchase by you of products and/or services (including software products). These Terms and Conditions will supersede any and all other terms and conditions contained in or referred to in order(s), in correspondence or elsewhere and this notwithstanding any provisions to the contrary in such other terms and conditions. The Seller reserves the right to amend these terms and conditions at its sole discretion. Any amendments to these terms and conditions will become effective and apply to orders placed as from the sixtieth day following written notice of the amendments on www.clarins.ca or as from such later date as indicated in the notice. 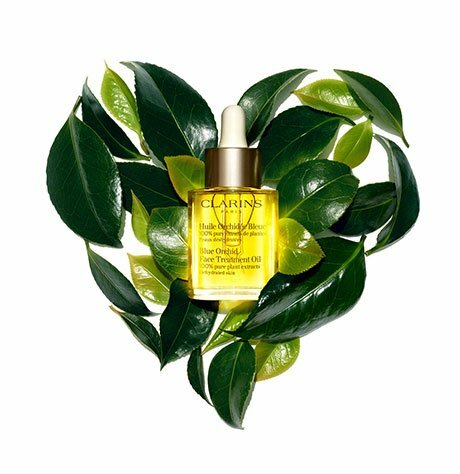 Orders may be placed exclusively online at the website of the Clarins Shop at Clarins.ca (the “Site”) which is available in English and French. Before placing the order, the Buyer may review and change the order related data at anytime in the shopping basket area of the Site. The Buyer may identify and correct input errors at anytime, before finally submitting the order by clicking the "submit order" button, by reviewing the order and the price, reviewing the details of each product and selecting or deselecting a product. Orders placed by clicking the "submit order" button by the Buyer constitute a binding offer to us to enter into a purchase agreement. However, orders may be placed and transmitted only if the Buyer accepts these Terms and Conditions by placing a checkmark in the appropriate check box, thereby including them into his/her offer. Once the Buyer has placed an order with the Seller, we will send him/her an e-mail confirming receipt and listing details of the order (order confirmation) without undue delay. This order confirmation does not constitute acceptance of the offer, but is only intended to inform the Buyer that we received his/her order. A contract of sale shall be concluded only when we ship the ordered product to the Buyer and confirm shipping with a second e-mail (shipping confirmation). No contract of sale shall be concluded for products not listed in the shipping confirmation. The Seller shall be the contracting party. The Seller does not intent to offer products for purchase to minors. Our products may only be purchased by people who have reached the age of the majority in accordance with the applicable law. The concluded contract will be stored by the Seller and is available for the Buyer on request. You may request a copy of your contract via e-mail. Clarins is not responsible for damage or loss that may occur to goods after delivery. If a package is lost or damaged after being delivered, it is the responsibility of the buyer. Clarins undertakes to provide a a) replacement or b) refund for any goods that would be defective or damaged prior to delivery, or if the products received are not the products originally ordered. 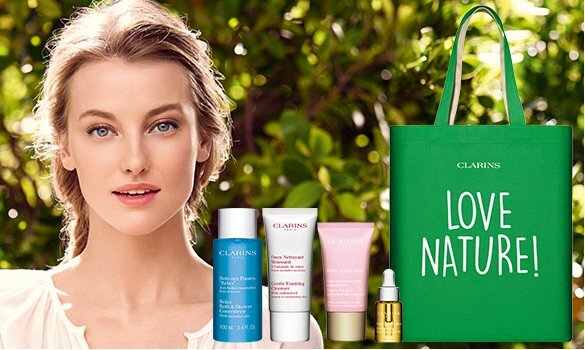 Clarins will not accept any products opened, products must be kept in the condition in which you received them. Product prices are in Canadian Dollars and are stated exclusive of taxes and delivery charges which will be indicated separately on our Site and before order completion. Products advertised for sale on the Site may be ordered only if the invoice and delivery addresses are within Canada. The Seller ships all orders via a parcel service (Canada Post). All items are insured by the Seller until they have been delivered at your address. In case of incomplete or damaged deliveries, please refer to section 3.2 hereto. By visiting the Site, you agree that the laws of Canada, without regard to principles of conflicts of laws, will govern these Terms and Conditions and any dispute that may arise between you and Seller. Any dispute relating in any way to your visit to the Site or to any products sold shall be submitted to confidential arbitration in Canada and you consent to exclusive jurisdiction and venue in any such court. Arbitration under this agreement shall be conducted under the Consumer-Related Disputes Supplementary Rules then prevailing with the American Arbitration Association. The arbitrator's award shall be binding and may be entered as a judgment in any court of competent jurisdiction. To the fullest extent permitted by applicable law, no arbitration under these Terms and Conditions shall be joined to an arbitration involving any other party subject to this Terms and Conditions, whether through class arbitration proceedings or otherwise.